I’ve been waiting to have this conversation for a long time. Full confession, I’m a huge magic fan. And one of my favorite acts is a guy named Brian Brushwood. He’s a magician, podcaster, author and television personality. Brian has a great show called Scam School where he teaches viewers how to use magic to scam beers off of friends in the bar. 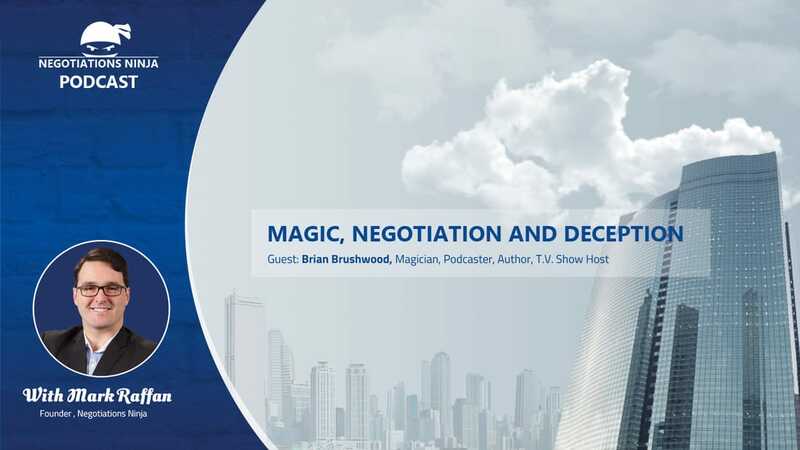 Magic and negotiation use a lot of the same communication tools and Brian and I have a great discussion about the dark side of magic and negotiations. The unfortunate thing about magic and negotiations is that sometimes it attracts people who would use tricks, communication tools, and body language for nefarious means to deceive others. How do you recognize people who would try to deceive you and how should you develop your skills to deal with those situations? But also, knowing that there are ways to leverage someone’s attention, how can you use that attention to get more of what you want without deceiving them?